Hey everyone, I've sent emails to tsttsme since March 3rd 2016 and each time I received an automated reply claiming that someone would contact me within 48 hours but sadly no reply from TSTT ever came. Why is it so difficult to acquire quotes from TSTT for business services? This isn't the first time I've experienced these issues with TSTT and it's ongoing. Some time in 2015 I called 800-4SME to ask for a quote for 3 Metro-E links and the TSTT rep somehow had no clue about what is Metro-E and didn't even know TSTT offered the service. TSTT seriously needs to stop hiring uneducated family members and look to hire people who are actually qualified. The blackhat hiring will catch up with you now that you are no longer a monopoly. So anyway, can someone please PM me contact details for a person in TSTT with whom I can work with to get this PBX system going? Please. Does anyone have recent information about TSTT's corporate mobile plans? As usual TSTT sales staff never responds to emails despite having a contact email Corphelp@tstt.co.tt on their website http://www.bmobile.c... business-plans/ it seems nobody bothers to reply. Web chat is also useless because they claim not to have any information and direct me to call which only leads to having to listen to loud distorted "music" on the line where it eventually drops your call. If anyone has information I would greatly appreciate if you could share. Hey everyone, I had filled out the "advertise with us" form over at tntyp.com and someone eventually replied to me so I have some information about what to do. I went on to request information about how to pay for the listing and so on. The problem is the person who contacted me and sent the information to me is using a hotmail email account, lol, is that normal? I don't want to list the person's name or email publicly but I would like to know if any of you have experience in getting listed in the yellow pages? Also I would like to know if tntyp.com is owned and operated by TSTT? Any helpful information would be greatly appreciated, Thanks. Got some stuff lying around that I not using anymore. Great deals, items in excellent condition. Blazing-fast 54 Mbps Wireless Internet Access with Superior Range. NETGEAR's 54 Mbps Wireless USB 2.0 Adapter enables 54 Mbps wireless Internet access to either your desktop or notebook PC – 5x the speed of 802.11b products. New antenna technology delivers greater range so you can move extended distances without losing your connection. Setup is now made quick and easy with a new Smart Wizard install assistant. High-level WPA-PSK/WPA2-PSK encryption shields your network from wireless eavesdroppers without sacrificing performance. Features a USB 2.0 interface that is up to 40 times faster than USB 1.1 allowing you to realize full 54 Mbps speed. New antenna technology provides superior range above previous-generation 802.11b adapters. * Secure and Consistent connection - Forceful and well-designed for fast download, file transfer and media streaming. * 2-in-1 device for wireless connection sharing - Enable your WLAN adapter to easily turn into a wireless AP with design-in software AP. * PSP Xlink Kai Support - Game with worldwide PSP player over the internet. * EZ WPS - To configure Wi-Fi setting in steps with WPS hardware push button. * 300Mbps Pro N - Secure and excellent connection. * Support Multiple OS - Windows, Mac and Linux. * Range - Up to 150m. How to access XBOX Live USA content? A friend of mine was telling me that he knows people who configured their XBOX to be able to access USA content but he does not fully understand what they did. Since I don't own an XBOX I have no clue how this is done either so I am hoping to get the answer here. All I could have suggested to him was the use of a proxy server but I feel there is more to it. 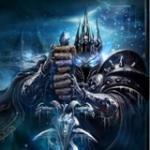 Lich King has no profile comments yet. Why not say hello?